Seek a quiet space for your meditation. Close your eyes and take deep, slow breaths. Visualise your inhale breath moving from your Crown Chakra down through your body towards your Base Chakra. Exhale the breath through your Base Chakra and into the earth. Continue this breathing pattern until you feel centered and relaxed. Bring your awareness first to your Base Chakra and move up each of your 7 chakras towards your Crown Chakra. Use the below guide to meditate on each chakra. Observe any emotions that arise and the energy it holds and become aware of any vibrational changes. Visualise the meaning behind each chakra in your own life at present and focus your attention and intention on this (see the details for each chakras below). You may like to visualise the colour relating to this chakra. How does the colour emanate from your chakra in your mind’s eye. Is it a soft glow or is it a fierce and burning? Is it hazy or is there clarity? Soften into your emotions. Do your emotions change in intensity or do they move to another part of your body. Follow it with a gentle curiosity. Does it feel light, expanded and open or does it feel contracted, closed and tight? Even if it doesn’t feel like anything, sit with this numbness and lean into it. Perhaps you received a message from your higher self in the form of visual imagery, audio and other sensations too. Allow your senses to guide you intuitively. What is your intuition telling you? For example, if my Heart Chakra feels light and playful, then it means that I am experiencing the world open hearted with childlike curiosity. Once you have meditated on all 7 chakra points, bring your awareness to your entire body. Then bring your awareness to your energetic field that sits outside your body, and then into the room or space where you are. Give gratitude for your practice. This is an example of how I love to practice my meditation. As I mentioned before, it is something that I have developed for myself because I resonate strongly with visualisation and the energy behind each of the chakras. Try different styles of meditation, find the bits and pieces from these practices that you love and make them into something that resonates with you. It will likely adapt and mould to become your own practice over time. Make this part of your own meditation journey. I complete my meditation by focusing on the root chakra where I focus on my identity and my values. I find that meditating on this particular point gives me strength and reminds me of the things that I really value so that I continue to bring these into what I do for the rest of my day. It keeps me aligned with my values, so that I stay true to my path. When I meditate on the sacral chakra, I focus on my relationships - with others and with myself. To me, this chakra is also about living with freedom, fluidity and flow. So when I meditate on this chakra, I ask how I can live with acceptance and to step down from trying to control a situation. For me, this chakra symbolises instinct and channelling energy to progress forward. When I focus on the solar plexus, I find the energy within me to help me take the step outside my comfort zone, trusting that my instincts will be there to guide me. I love meditating at the solar plexus because it brings upon this fiery energy that fuels me for the rest of the day! With my hand on my heart, I sit and observe any feelings and emotions that are present within me in the moment. I ask myself if there are any emotions that I am suppressing and allow myself to release these if required. After sitting with my emotions for a while, I take a few deep breaths in and release them. At the heart chakra, I also ask set an intention to bring love, compassion and gratitude into my day. This chakra is about communicating with authenticity, owning up to your voice and your truth. It is something that I have been working on for a long time as this chakra is probably the one that is weakest for me. When I meditate on this point, I visualise myself being authentic and confident in all that I do and say. After my meditation, I notice how much more confidence I have within me when I go about my day. This chakra is about being connected to my intuition and knowing. When I focus on this point between my eyes, I ask myself what I know and I ask myself what I must do. I take time to listen and to experience the answer to my question. 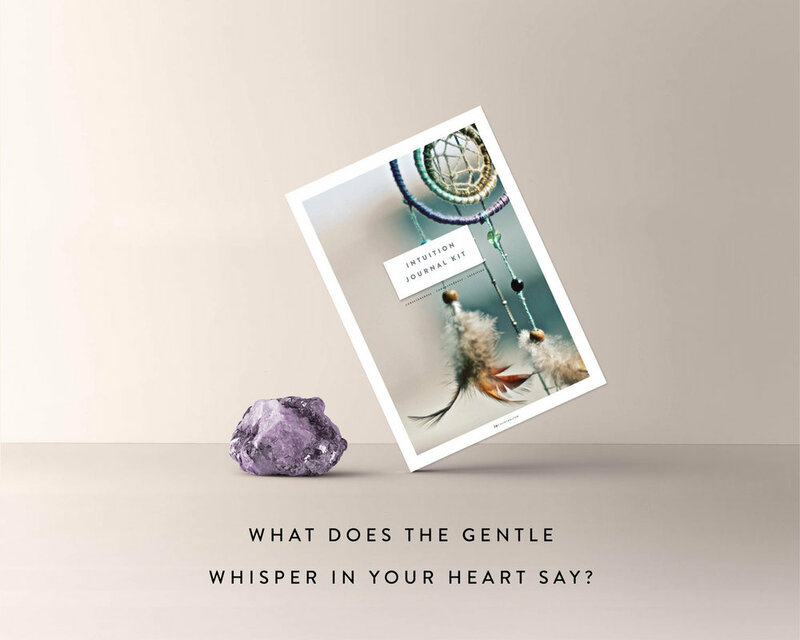 Sometimes, you will need to dive deeper to get to your true intuitive voice as the first answer you receive is just your mind chattering back to you. This was something that I was so inspired by that Mel Horne said in her interview! I start my meditation by focusing on my crown chakra. For me, this chakra is about inspirational energy. When I focus on this point, I visualise something that inspires me spiritually and creatively. I acknowledge and direct my awareness to this feeling of inspiration. So that was my morning meditation practice. I hope you found something interesting from it and hopefully it has inspired you to find your own meditation style that works for you. Or try my meditation practice and see what you think about it too! I will be doing a further post later on about chakras so check back here at a later date! Is meditation part of your daily rituals? How do you meditate? Do you have your own practice that you use or have you tried different meditation styles too? Drop me a comment below and share your ideas!